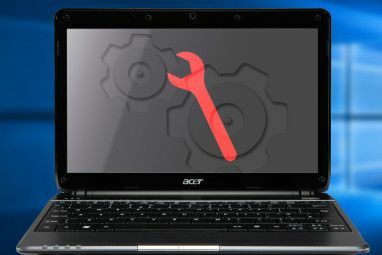 Have you ever spotted a weird entry on your Windows machine 7 Odd Windows Features That Will Make You Wonder 7 Odd Windows Features That Will Make You Wonder Vulkan Run Time Libraries and other confusing Windows files could make you suspect malware. But these weird files are harmless! Let's see what they do. Read More as you browse around? Since most users are cautious about malware and unwanted features on their systems, these typically raise a red flag How to Handle Suspicious Windows Task Manager Processes How to Handle Suspicious Windows Task Manager Processes CTRL + ALT + DEL aka three-finger salute is the quickest way to add to your confusion. Sorting through Task Manager Processes, you may notice something like svchost.exe using 99% of your CPU. So now... Read More . One of the strangest named programs you’ll come across is Vulkan Run Time Libraries. Let’s find out what this is, its purpose, and what you should do about it. What Are the Vulkan Run Time Libraries? The solution isn’t as complex as it sounds. We should first note that these libraries have no relation to the Vulcan species from Star Trek, so apologies to sci-fi fans. Instead, the Vulkan Run Time Libraries are a recent API (application programming interface) used for computer graphics. An API is simply a collection of tools What Are APIs, And How Are Open APIs Changing The Internet What Are APIs, And How Are Open APIs Changing The Internet Have you ever wondered how programs on your computer and the websites you visit "talk" to each other? Read More that programmers can use to build new apps — and games, in this case. For instance, a developer could use Twitter’s API to implement features from the service into a new app. Vulkan is similar to older graphics APIs, such as Open Graphics Library (OpenGL) and Microsoft’s DirectX Everything You Need to Know About DirectX in 2016 Everything You Need to Know About DirectX in 2016 If you're a PC gamer, you absolutely must use DirectX because it could significantly boost your gaming performance! Here's everything you need to know. Read More . However, Vulkan’s developers built it to offer better performance and more balanced usage of the CPU and GPU in your computer What Is the Difference Between an APU, a CPU, and a GPU? What Is the Difference Between an APU, a CPU, and a GPU? Over the last five or more years, there have been a number of different terms swirling around to describe computer hardware. Some of those terms include but aren’t limited to APU, CPU, and GPU. But... Read More . It’s built around modern high-intensity tasks that modern CPUs can handle. When OpenGL and DirectX were new, computing equipment didn’t have as much power as it does today — they were created with single-core CPUs in mind. Vulkan is more efficient on today’s multi-core processors What Does "Dual Core" & "Quad Core" Mean? What Does "Dual Core" & "Quad Core" Mean? A long time ago, your CPU came with a single core. These days, most CPUs are at least dual core, and more likely quad core. But what does dual, quad, or octo-core even mean? Read More . Also, Vulkan is a cross-platform API. While DirectX only works on Windows (and Xbox), Vulkan is also available on Android and Linux. All this means is that Vulkan is a sort of new standard for the latest 3D games. But that doesn’t mean the older APIs are useless! Many games still use them, and they still receive updates. Is Vulkan on My Computer? You can easily check if you have the Vulkan Run Time Libraries installed on your PC. On Windows 10, open the Settings app and then select the Apps entry. On the Apps & features tab, use the search box to look for Vulkan. If you see a Vulkan Run Time Libraries entry, you’ve got it installed on your system. Windows 8 users can press the Start button to open the Start Screen. From there, just type Vulkan to search your PC for the program. On Windows 7, visit Control Panel > Programs and Features. Scroll down to find the entry, or use the search box in the upper-right to find it. How Did Vulkan Get on My Computer? If you don’t remember installing Vulkan, you’re not having a memory lapse. When you installed the latest graphics drivers for your video card, the Vulkan Run Time Libraries came with it. 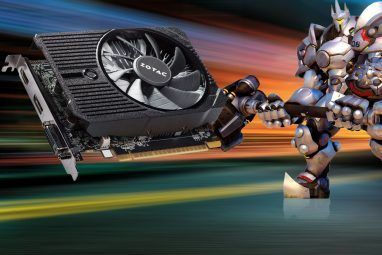 Both NVIDIA Nvidia Graphics Cards: Which One Is Right for You? Nvidia Graphics Cards: Which One Is Right for You? Nvidia graphics cards are the most popular for a reason. But which model should you buy and why? We explain the jargon, the cards, and their performance. Read More and AMD graphics cards now include Vulkan with their driver updates. Since Vulkan was only released in early 2016, older graphics cards may not support it. The Talos Principle (2014): This excellent first-person puzzle game was the first title to support Vulkan. Dota 2 (2013): Valve’s popular MOBA 5 Tips For Dota 2 Noobs That Will Make You A Better Player 5 Tips For Dota 2 Noobs That Will Make You A Better Player Dota 2 is a hard game. When you launch it and start playing, it's easy to become overwhelmed. These five tips we are going to cover will make you a better Dota 2 player. Read More introduced support for Vulkan shortly after the API released. Wolfenstein II: The New Colossus (2017): This first-person shooter is notable for only supporting Vulkan on PC, and not any older APIs. In addition to these games, emulators such as Dolphin (which emulates the Nintendo GameCube How to Play Nintendo GameCube Games on PC How to Play Nintendo GameCube Games on PC Want to play your favorite Nintendo GameCube games on your PC? Using the Dolphin Emulator, you can do just that. Here's how to set it up and get playing. Read More ) and game engines like Source 2, Unity, and CryEngine all support Vulkan. Thus, we can expect to see more games using Vulkan in the future. 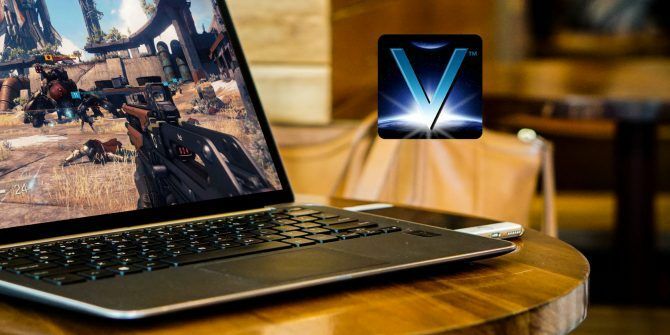 If you have Vulkan installed on your computer, you’re most likely a PC gamer The Most Essential PC Gaming Accessories for All Budgets The Most Essential PC Gaming Accessories for All Budgets Getting started with PC gaming but don't know what to buy? We've got you covered. No matter how much you have to spend, here are the most important accessories. Read More . Because it only downloads with the latest graphics card drivers, you won’t get Vulkan if you use integrated graphics for basic PC tasks. You should definitely leave Vulkan installed on your computer. Since it’s the latest graphics API, you won’t be able to run newer games if you remove it. Plus, there’s no way to install a standalone copy of the Vulkan Run Time Libraries. If you uninstall them and decide you want to reinstall them later, you’ll have to reinstall your graphics drivers too. Having Vulkan on your PC won’t hurt anything. It takes up little space, won’t nag you for any reason, and certainly isn’t a virus. Now you know what the Vulkan Run Time Libraries are, why they’re on your computer, and what they do for you. Any PC gamer should have them on their system so that the latest games run smoothly. You should get updates for Vulkan when you update your graphics drivers, so there’s really no overhead for you to worry about. 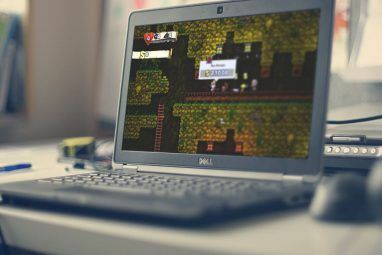 If all this talk of PC gaming has you interested, check out how to build a cheap gaming PC for yourself How to Buy a Cheap Gaming PC With an Nvidia Graphics Card How to Buy a Cheap Gaming PC With an Nvidia Graphics Card Looking to build a cheap gaming PC? Dann Albright built an Nvidia-based gaming machine on-the-cheap. And he's going to show you how it's done for under $600. Read More if you don’t have one yet. Do you have the Vulkan Run Time Libraries on your system? Have you played any of the games that support Vulkan yet? Share what you think down in the comments! Explore more about: API, Graphics Card.